I need to change the transfer belt, do you sell this? Thank you for your question. Unfortunately we do not stock the transfer belt for the Samsung CLP-315W Wireless Colour Laser Printer at this time. Which colour is the CLT-409 replacement cartridge? All of the cartridges required for the Samsung CLP-315W printer include 'CLT-409' as part of the code. The codes are different for the different colour of cartridge that you require (e.g. black = CLT-K4092S, Cyan = CLT-C4092S, Magenta = CLT-M4092S and yellow = CLT-Y4092S). You will need to identify which colour cartridge needs to be replaced and purchase the item with the correct code. Cannot find out how much toner I've used as there doesn't seem to be a way of finding out on my CLP-315W printer. I usually use black so I presume it's okay to purchase a few black toners and await the colours to fade. Is there any way of being advised though? The display panel on your printer has four toner indicator lights, one for each colour toner. These will light up to indicate when a toner is running low and needs to be replaced. We hold different machines which uses large cartridges. Is there any way of recycling these laser cartridges or is there any way to use them again as originally? The Samsung CLP-315W makes sure that you’re always printing, with its sleek design and quiet efficiency, as the CLP-315W is extremely productive. Able to print up to 17 monochrome pages per minute, the Samsung CLP315W is great for any printing situation and will not let you down. Using your Samsung CLP-315W over and over again may become a problem financially, however, as many Samsung CLP-315W cartridges such as the black Samsung CLP 315W toner cartridge need to be replaced after a period of time. A lot of CLP315W toner is sold at incredibly high prices, just compare leading Samsung CLP-315W toner stores to find out. Helping you save on your Samsung CLP 315W cartridge needs is what we’re committed to-just take a look at the cheap Samsung CLP-315W toner that we have made available. Buy your Samsung CLP-315W toner cartridges for discount prices at CartridgeSAVE, and you can rest assured you’ll save money on all your Samsung CLP 315W toner needs! Our low Samsung CLP-315W toner prices aren’t the only way you save on your Samsung CLP-315W toner cartridges-we also add several services to the Samsung CLP 315W cartridge deal so that you find the experience as convenient as possible. The CLP 315W cartridge that you order arrives at the door via free delivery so that you get your Samsung CLP-315W cartridge with virtually no inconvenience. We also send the Samsung CLP315W toner cartridge off with a helpful money back guarantee so that you know for sure that your Samsung CLP-315W toner is the best high quality Samsung CLP 315W cartridge around, or you’ll get fully refunded. 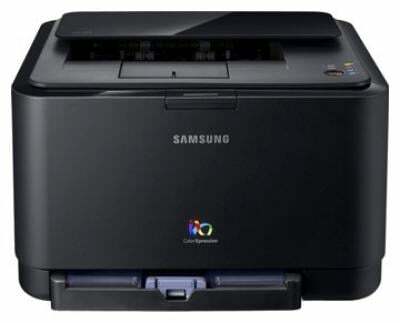 Samsung's CLP-315W printer is a wireless colour laser printer that offers a small footprint. The CLP-315W works best in a home or home office environment. Individual toner cartridges waste less ink and make them easy to change. Pricing is affordable and the high levels of energy efficiency saves even more money. Offering wireless connectivity, the Samsung allows for several devices to share the printer without compromising speed. The Samsung CLP-315W comes equipped with the exclusive NO NOIS printer engine. This engine makes the printer very quiet and makes for simple toner replacement. Each toner cartridge has a 1,000 page printing capacity. Only measuring 15.3" x 12.3", the CLP-315W is lightweight and compact in size. It has a smooth and modern finish making it a stylish addition to the home or home office. Print speed for black is 17 pages per minute and 4 pages per minute for colour. The biggest appeal of the Samsung CLP-315W is the outer design. It is compact in size with a clean and modern look. The printer is quite light, making it easy to move and manoeuvre. Another key feature is the noise level. Having a quiet printer in a home office is a must since many offices are multifunctional spaces. The ease of individual toner cartridges is a nice feature and the simplicity of changing them is an added benefit. The Samsung CLP-315W is lacking on a few key elements. Overall, the cost per page to print is higher than the average. Also, there is a long delay to printing the first page when sending a job to the printer and print speeds are slower than similar printers. The controls are lacking a cancel button so jobs must be stopped from the computer as opposed to the printer. Another common complaint is that the print quality tends to be poor for a laser printer. The Samsung CLP-315W is an affordable choice for home office printing. Despite its drawbacks, this printer is an excellent choice for a small multipurpose space or the home.